Pamban Island also known as Rameswaram Island, is an island located between peninsular India and Sri Lanka. 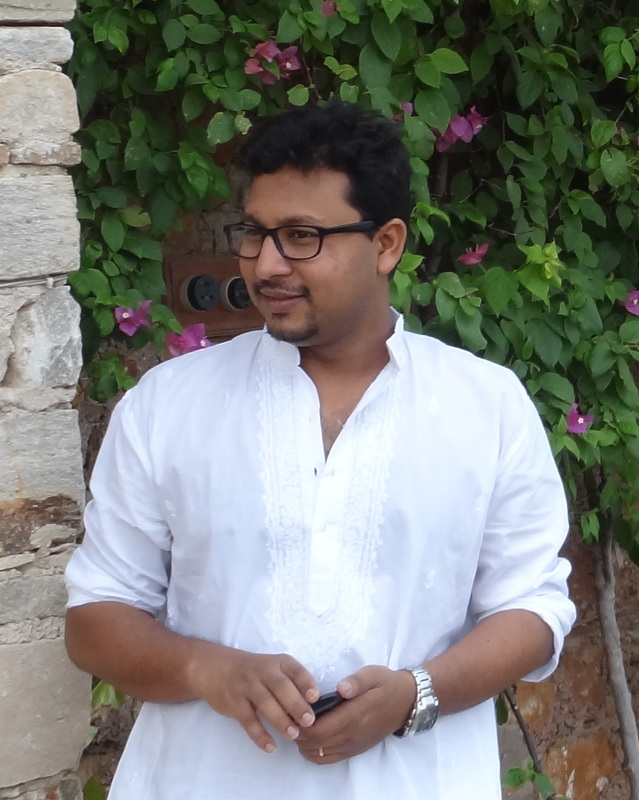 The island is a part of India and forms the Rameswaram taluk of the Ramanathapuram district of the state of Tamil Nadu. 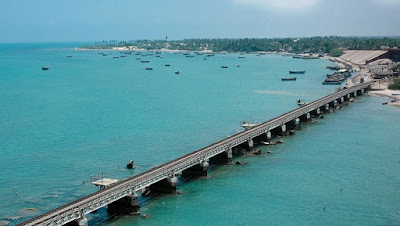 The principal town in the island is the pilgrimage centre of Rameswaram. 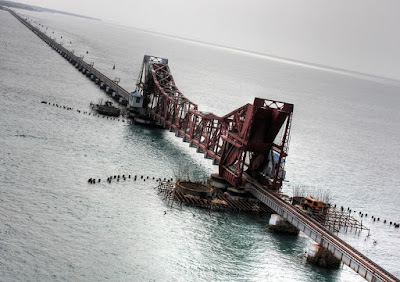 Most of Pamban Island lies below sea-level. However, there are a few hillocks and elevated physical features in the vicinity of Rameswaram of which Mt.Gandamadana is the tallest. It is believed that this was the hillock from whose summit Lord Rama observed Lanka and conceived the idea of constructing a bridge between India and Lanka. A temple commemorates the exact site. Most of Pamban Island is covered with white sand and hence is not suitable for cultivation. Coconut and palm trees are found in abundance apart from fig and eucalyptus plants. Scrubsand rushes are found in abundance all along the sea-shore. Ex-president of India, Dr. Abdul Kalam, hails from a fishing hamlet called Dhanushkodi situated on the island.